Do bible code predictions have any credibility? While this is an old issue in most Christian circles, some people are just now learning about "the bible code." History Channel creations such as Bible Code: Predicting Armageddon (2003) and Bible Code II: Apocalypse and Beyond (2004) as well as references to the bible codes in numerous other television series help foster the impression that existence of a "bible code" is established fact. It's been more than two decades since the so-called "bible codes" were first introduced in the public forum, and the sensational claims of some of its proponents can at best be described as statistically insignificant. Yet, The History Channel continues to run its "documentaries" on the bible code, which in turn, prompts people to personally investigate the codes only to find dead ends, disappointment, or hours of wasted time. Well, if some people are promoting the bible code and bible code predictions as proof of God's divine authorship of the Bible, then non-believers who investigate the claim could potentially be turned away from Christianity when they discover the facts about the bible code. In 1994, Doron Witztum, Eliyahu Rips, and Yoav Rosenberg published the paper, "Equidistant Letter Sequences in the Book of Genesis", in the scientific journal Statistical Science. In their paper, the authors set out to prove that the names of famous rabbis could be found with the Book of Genesis in close proximity to the dates of their births and deaths in such a way that chance alone could not explain. The process relied upon "Equidistant Letter Sequencing (ELS)," whereby researchers take a single letter, skip ahead a certain number of spaces to a second letter, and then repeat the process using the same numeric interval. Looking at every third letter, spells out "Jesus." Now, while a line of text from the Book of Genesis is not gibberish, code researchers place lines of its text into randomly chosen "matrices" creating an almost inconceivable number of possible random lines of text to choose from. Two years after the publication of "Equidistant Letter Sequences in the Book of Genesis," journalist Michael Drosnin injected "the bible code" into pop culture with the publication of his book The Bible Code (1997). In his book, Drosnin claimed not only the existence of hundreds of messages encoded in the Torah, but also the existence of what he believed were bible code predictions. For example, Drosnin claimed to have found a bible code prediction of Yitzhak Rabin's assassination prior to the event's actual occurrence. He even claims to have warned Israeli leaders of what "the bible code" foreshadowed in the imminent future. Does the Book of Genesis, or any book in the Bible, really contain coded messages or predictions from God? While it's probably not accurate to label the bible code as a complete hoax, it is accurate to say the claims of its significance have been highly exaggerated. We have no reason to believe the result of Witztum, Rips, and Rosenberg's paper was premeditated and intentionally misleading. But it is likely that they wanted to believe in the code's existence in order to prove the Bible's divine authorship to an unbelieving world. As a result, a more thorough and rigorous examination of the code's statistical significance did not take place until later. When the bible code and bible code predictions first came to light, many Christians and Jews jumped on the bandwagon, viewing the existence of "secret codes" as irrefutable evidence of a higher intelligence who intricately crafted every letter of the Bible. I'll admit that when I first heard of the bible codes, I was excited. Like everyone else, I wanted further "evidence" and "proof" which would illustrate to an unbelieving world that the Bible was the undisputed Word of God. Unfortunately, a thorough examination of the bible code and bible code predictions just does not hold up to scrutiny. Well, in the years since the initial publication of the bible code phenomenon, the public at large has had ample opportunity to test the bible code, recreate the initial experiments, and test alternative texts. A similar experiment conducted with the text of Tolstoy's War and Peace achieved similarly statistically significant results. Alternative selection of rabbinical names and dates conducted by an independent expert failed to achieve the original statistically significant results. The text of Genesis used by the authors in the original experiment is substantially different from the original. These are just a few of the criticisms leveled at the bible code and its proponents. For instance, while some amazing and relevant ELS word patterns appear throughout the Torah (such as the repetition of the name "Yeshua"), other words and phrases crop up as well - including outright lies such as "Jehovah is a liar," "There is no God," and "Satan is Jehovah." If we attribute great significance to ELS codes in the Bible which assert Jesus is the Messiah, then how can we then ignore similar codes which blatantly depict false statements which contradict the Bible? More importantly, if God is truly behind "the bible code," we should be able to pull up unfulfilled bible code prophecies and await their fulfillment. Is the bible code really from God, or is it a modern day idol? If it is from God, the Lord says to prove it by telling us "what will occur in the days ahead." If ELS codes are the handiwork of God, where are the bible code predictions? 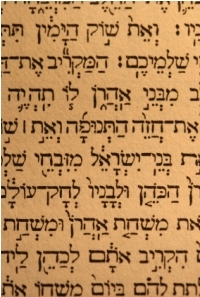 In The Bible Code (1997), Michael Drosnin cites several "messages" extracted from ELS codes in the Torah which he states portend future events. On page 179 of his book, Drosnin states the bible code "also seems to state that the Apocalypse starts now, that within a decade, we may face the real Armageddon, a nuclear World War." He later associates the words "atomic holocaust" with the years 2000 and 2006. In another part of his book, Drosnin associates the Jewish year 5757 (which ended in October 1997) with a "holocaust." "This book begins a search for the key that may unlock the code completely, reveal our forgotten past, and our entire future. And now the search has become urgent. Because the bible code warns that we may have only three years to survive." Notice that he writes "may have only three years to survive." Proponents of the bible code tend to ignore its false predictions by stating such things are "possible futures," rather than failed prophecies that never came to pass. If this is the case, then it essentially confirms what we already know to be true - that "the bible codes" are a series of random man-created messages, some true and some untrue. If a proponent makes 100 bible code predictions and, by chance, one comes true - then they'll hold up that one example as "proof" of the bible code's legitimacy, like Drosnin did with his Yitzhak Rabin assassination prediction. In the meantime, they'll conveniently ignore the 99 additional failed predictions. Even one false prediction out of one hundred is evidence that God isn't behind the predictions to begin with. Why do we need bible code predictions? Is it to prove divine authorship of the bible? Jesus Christ, fulfilled bible prophecy, the holy spirit, and mountains of additional evidence already attest to the divine authority of the bible. We don't need the bible code to verify the Bible as God's Word. Do we need bible code predictions in order to know what's going to happen in the future? The bible already tells us in plain language what's going to happen in the future. In fact, if you just read the plain text of the Bible, you don't need elaborate software programs or computer scientists to "decode" bible prophecy. It's right there in plain daylight for anyone who wants to read it. This is the truly remarkable design of God's Word - not hidden codes. That said, here are just a few examples of "bible code predictions" that have come true, and not one of them requires special software or a masters degree in mathematics in order to decipher. Bible Prophecy: The Messiah will be born of a virgin. Bible Prophecy: The Messiah will bring light to Galilee. Bible Prophecy: The Messiah will be betrayed for 30 pieces of silver. Bible Prophecy: The 30 pieces of silver will be thrown in the potter's field. All of these prophecies were known by the Jewish scholars of His day, yet most failed to recognize Christ's coming. Just like the Pharisees and Sadducees, our generation ignores the obvious signs of the times while demanding a miraculous sign in order to believe God's Word. In the eyes of the world, an imbedded code unable to be deciphered until the age of computers and then only understood by mathematicians and cryptographers who can "verify" and "authenticate" said code is a "miraculous sign" - something the world can finally believe in. But would the world really believe, even in the presence of a miraculous sign? The Bible itself, as it's written in plain language anyone can read and understand, already constitutes a miraculous sign! We don't need hidden codes to verify the authenticity of God's Word. Instead of wasting precious hours, days, or years of life scouring through "bible codes," why not spend that time actually reading the Bible itself? One of the reasons some people are quick to buy into the bible code is because of its perceived power as a tool for witnessing to others. But we don't need the bible code to witness to others. Given the past scrutiny and the immense evidence of the bible code's illegitimacy, it's doubtful it would have any impact anyway. Using the bible code to witness to non-believers is potentially disastrous. If they associate true believers in Christ with believers in the bible code, and then find out the bible code is false, then they might summarily assume that a belief in Jesus Christ is also false. This is the ultimate danger in following any teaching which strays from the plain truth of the Bible. Because of this, the bible code harbors some potentially negative consequences, especially when touted as "real" on networks like The History Channel, which most people perceive as a trusted arbiter of "fact." So what about those who already believe? If a real bible code does exist, can it help them? Probably not. After all, believers already believe. Our faith is strengthened by the Holy Spirit and mountains of additional evidence. So why do believers need a "bible code"? In light of this evidence, it's difficult to see what good the bible code and bible code predictions can do in spreading the Gospel of Jesus Christ or strengthening the faith of current believers. One of the best tools for witnessing to others and strengthening the faith of believers is bible prophecy itself. God's promise to gather His people back into the nation of Israel - a clearly fulfilled prophecy in our day and age - dwarfs any perceived claims of so-called bible code predictions. We should look to the bible for guidance, not mankind's rearrangement of it into "codes." Rely on the Bible as it is, and you won't be disappointed.